The honeycomb table lamp by Stableford's is a masterpiece of a lamp, being made of brushed brass with a black lacquered base and a black satin lampshade. This black and brass table lamp provides the perfect setting to an elegant and royal luxury room, be it a companion to the living room or to read your book in your bedroom. A charming symbol of luxury indeed! To know more on how you can acquire this product, feel free to get in touch with the brand. Practising lighting design for over ten years now, Stableford’s contribution to the lighting category has been well recognized and appreciated. With a keen sense for developing traditional products with a twist, the brand continues the proud heritage of handcrafting exclusive designs in their workshop in Northern England. Their motto is simple ‘to craft products of the highest quality with their unique designs of lighting range'. 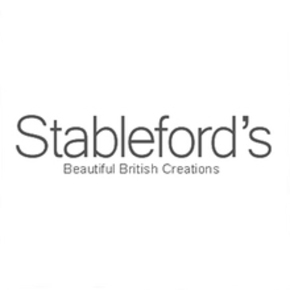 Featuring unique processes including the cracked ice core effect and the frosted ice core effect in his handmade lamps, Stableford’s delivers products of the highest quality to their discerning buyers.